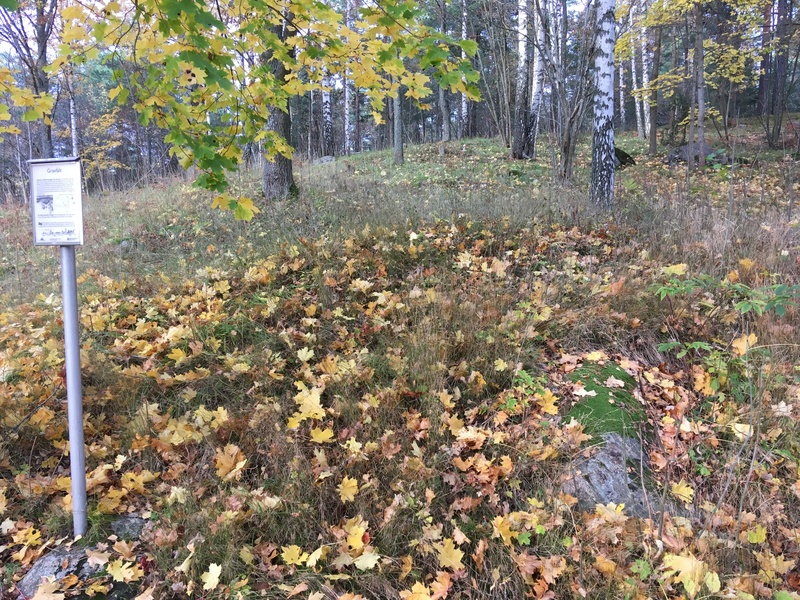 Just a couple of hundred meters from the Stockby burial mound is an unexcavated gravefield with five stone-setting mounds. 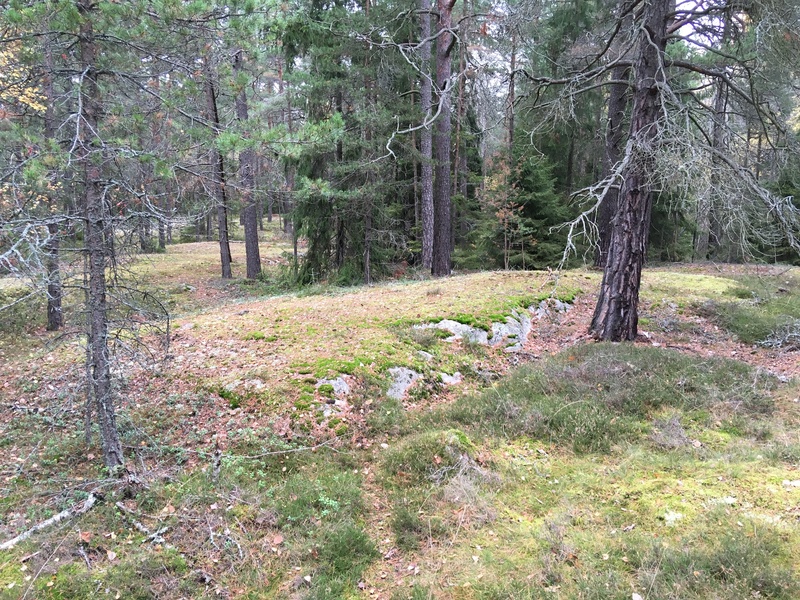 The graves are believed to date from the Viking Age (the Late Iron Age ca 800-1050 AD). According to the sign, it served as the cemetary for the nearby Stockby farmstead. I have to say, my untrained eye could barely discern anything in the area. 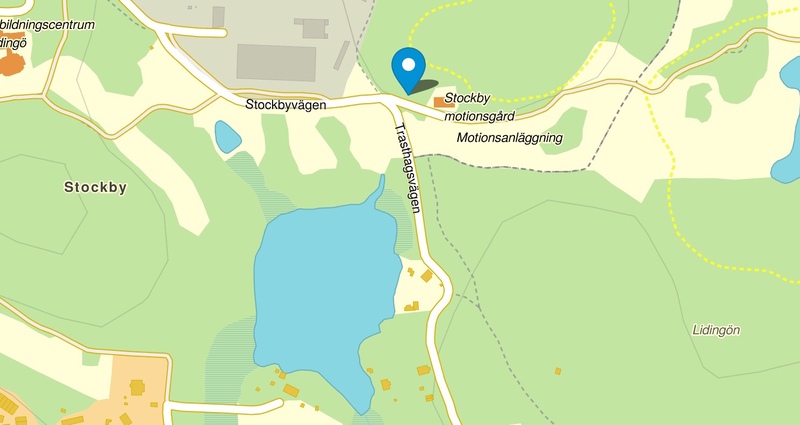 According to the National Heritage Board Fmis database the site measures 40 x 20 meters. 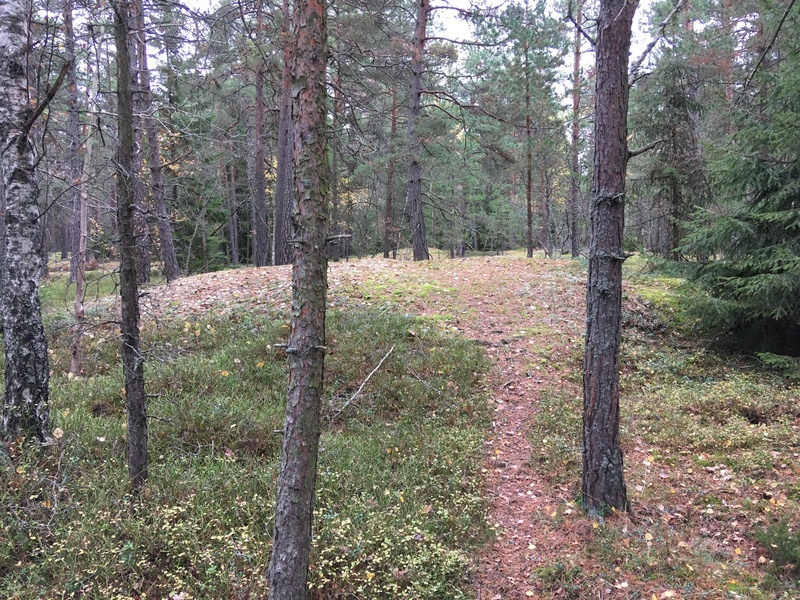 At least one of the five stone-setting mounds is 6 meters in diameter and 0.4-0.5 meters in diameter, while there are ”uncertain” mounds 5 meters in diameter and around 0.2 meters high. 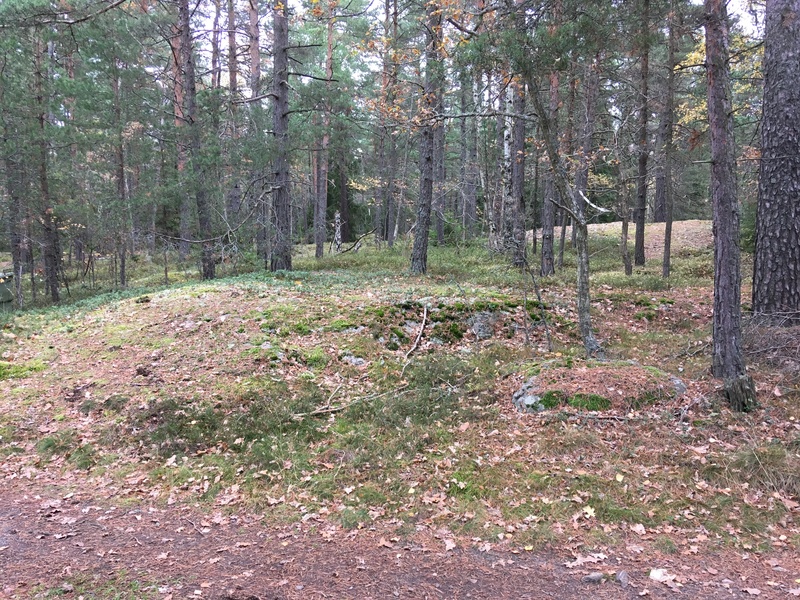 The site is covered with oak, birch and maple trees. 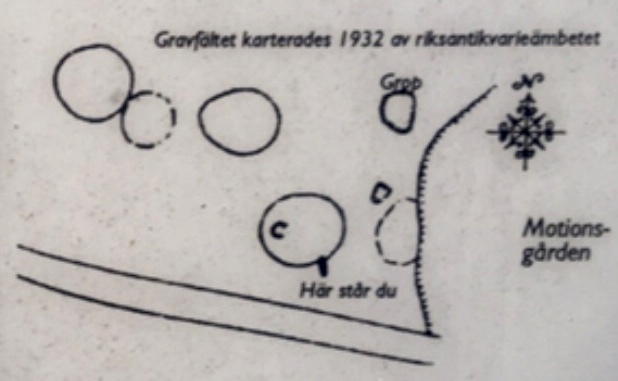 In between the grave field and the nearby burial mound is a large modern store selling builders’ supplies. One wonders if other finds might have been located underneath the store location?